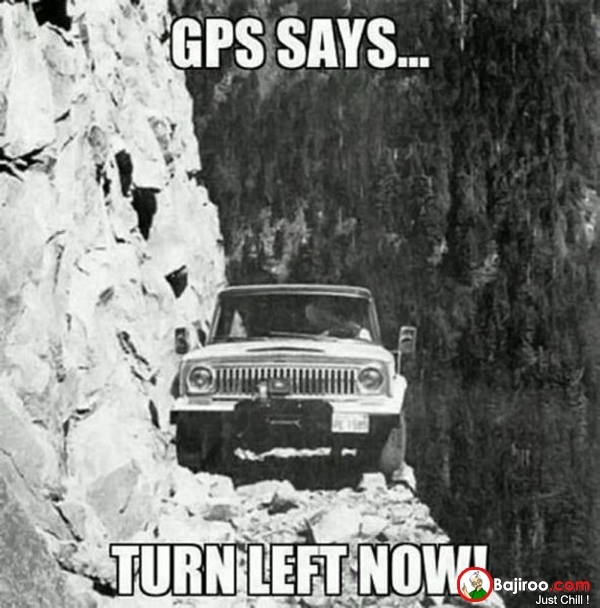 As I head out for a day traveling on the road, I am using the GPS in my car. For better or worse, part of following my bliss on this trip means trusting this machine. Part of the joy and the beauty of travel is becoming aware of what you take for granted in your everyday life. I love gaining space from what keeps me busy. I don’t want to live life like a hamster on a wheel…always running but not really aware of what I am accomplishing. I have been blessed with this time to hop off the “wheel” and evaluate life as I experience some new places. It’s a huge personal motivation for me in taking this extended trip. One of my revelations is not too surprising. I am spoiled. As an American, perhaps you are spoiled as well. Does this sound familiar? I have quickly become used to having access to cellular service, reliable WiFi and GPS systems that work. 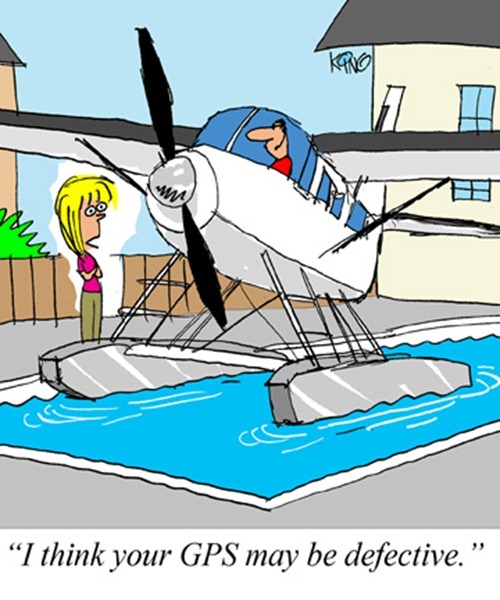 Silly me, I have come to expect that my GPS actually knows where to go and how to get there when I plug in an address. I remember a time without any of these conveniences (yes I admit to being that old). But, I am fine with the fact that those days are over. The fact is that traveling here for the last couple of days has taught me that the “good ole days” are alive and well in rural France. I’m not complaining mind you. There is good in the fact that things are different. The way we do things in the USA is not always the best, but being here feels a little like stepping back in time. For example, I plugged in the address for my hotel in Giverny, and there was no hotel nearby when the GPS emphatically announced,” You have arrived.” I stopped a man who was outside in the driving rain and asked him to point me to the address on my piece of paper. He kindly pointed and explained something in French, but of course that didn’t help me much, because the only French I understand is body language. I couldn’t ask him to stay out in the rain any longer, and though I knew I was close, I still had no idea where in the world my hotel was. I tried a couple of pay phones, but surprise!…those would not function for me either. About that time the GPS kicked in again with another not-so-helpful suggestion of a location for my destination as I drove around. This time it took me down a back alley in another residential section. It shouted,”YOU HAVE ARRIVED!” once again as I pulled up to the back door of someone’s garage…obviously another mistake. What to do when all else fails? Have a coffee! I made my way to a hotel and the sweet girl at the front desk had body language I could understand (thank God!). We communicated perfectly well, and it was especially helped by the fact that my daughter Haley did some instant translation for me via WiFi (thanks Haley <3!). The end of the story is that the owner of the B & B came to get me. No sign on the establishment would have told me that it was a B & B. It was actually exactly where the nice rain-soaked French gentleman had pointed initially. All’s well that ends well, right? The lesson is, that having a back up map is probably a great idea. But not having one, makes for a good story. Hi Rebecca…I really look forward to your daily blogs. You’re not only a talented artist, but an interesting writer and story teller. I am enjoying traveling with you from a distance. 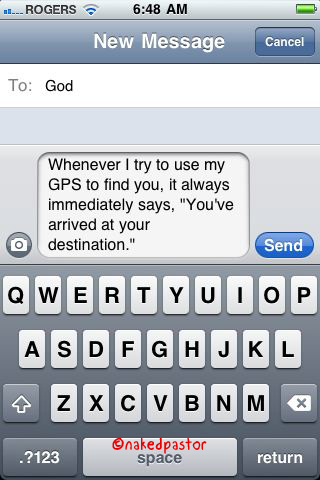 That GPS pic is hilarious and wouldn’t it be nice to text God and get return texts from him?!! You’re my hero!!! You are facing your fears, moving forward and having a great time in the process!! Good for you! I also loved Monet’s garden. That had to be so sweet to be there and nice there was another artist who you got locked in with if only for a short while. Keep those posts coming!! Hi Maureen! So nice to hear from you. I think it was my guardian angel who brought the other artist to help me along, because I honestly don’t know if I would have had a clue about how to exit without her. lol thanks for checking in, it’s great to share the journey with my friends back home.